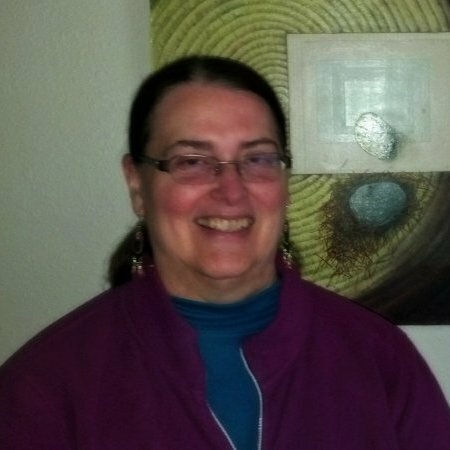 The Therapeutic Training Center is hosting the Applied Polarity Practitioner (APP) Certification program and Polarity Therapy classes taught by Kathryn (Kate) Bromley, LMP/RPE. The classes in the Associate Polarity Practitioner Certification program are the foundation of Polarity Therapy work. They introduce the student to basic Polarity concepts and theory, energy anatomy, American Polarity Therapy Association (APTA) ethics, communication and facilitation skills, assessment, goal setting and documentation and core Polarity bodywork protocols. Students practice their skills in class and complete assignments outside of class with phone or e-mail support from instructor. Once students complete all of the classes, they will complete a written test with the instructor and will receive a certificate which allows them to apply for APP Certification from the APTA if certification is the goal. Reasons for APP Certification: Certification gives practitioners added credibility and confidence with their clients and engages them in the APTA Polarity community. Students completing APP Certification will be listed on the APTA website as an APP practitioner so that clients can find you. Certification is designed for students who want to pursue a deeper understanding of the Polarity principles and application through bodywork. Other practitioners may pursue aspects of Polarity allowed by their license (nutritional counseling, energy exercises, and process work). Classes follow a progression that allows the students to learn in a safe environment, get feedback about presence and stillness, receive and give sessions to classmates with in-depth feedback and understand how to integrate Polarity protocols into their current practice or use them as taught. Since Polarity is about listening deeply and following the energy flow of the sessions, students will develop a more intuitive approach to the work as they progress in their practice. Become a powerful force for change - become an Associate Polarity Practitioner (APP)! The classes in the APP Certification program are the foundation of Polarity Therapy work. They introduce the student to basic Polarity concepts and theory, energy anatomy, APTA ethics, communication and facilitation skills, assessment, goal setting and documentation and core Polarity bodywork protocols. Students practice their skills in class and complete assignments outside of class with phone or e-mail support from instructor. Once students complete all of the classes, they will complete a written test with the instructor and will receive a certificate which allows them to apply for APP Certification from the APTA if certification is the goal. Must complete a minimum of 57 hours of practice outside of class to review each of the protocols learned in class at least once. These hours should also include documentation for 5 clients for health intakes, goal setting and assessment and a series of 10 sessions on one client. Each Polarity bodywork protocol learned in class must be practiced at least one time and tracked on tracking sheet. There are 41 protocols. For optimum learning, students are asked to complete APP Certification within 24 months of starting the program. Though the American Polarity Therapy Association (APTA) does not specify that APP level candidates hold a healthcare license, anyone enrolling who is not licensed to "touch" (massage, physical therapy, occupational therapy, nursing, etc) and who does not have a previous background of anatomy and kinesiology will need to do more individual study in those areas before enrolling. The courses in this program assume that students have a basic knowledge of the body systems, muscles and bones. If you are interested in the APP Certification Program, but are not licensed, please contact the Therapeutic Training Center for further details on how to enroll. Since receiving sessions is part of the training and the effects of Polarity Therapy can be varied and profound, it is recommended that students have resources available should they need therapeutic support outside of class hours. Earth Element Class: To take this class a student must either have taken one of the other 5 Elements classes prior to the Earth Element class or be enrolled in the APP program. Nervous System & Stars Class: To take this class a student must be enrolled in the APP program. 5 Elements Tuition: $1,200 (orig $1,400) for all 5 classes plus $45 for the Polarity Therapy Training Manual 2 which is purchased on the first day of class. Associate Polarity Practitioner (APP): Students who register for the APP Certification program can choose between paying monthly, quarterly or all up front. There are no financing fees. Because students may begin the program with any class, payment plans are tailored to the individual. Please contact the Therapeutic Training Center to have a payment plan put together for you. A $200 deposit is due at the time of registration--$100 is non-refundable. 5 Elements Classes: When students register for all 5 Elements classes, a $100 deposit is due at the time of registration--$50 is non-refundable. Students can either choose to pay in advance and save $100 if the deposit is received by February 15, 2019 with the final payment of $1,000 due on February 23, 2019, for a total of $1,100. For questions about housing and transportation, please email Robbin Blake at info@theratraining.com or 206.853.6875. "classes are very informative, supporting and inspiring"
"they challenge me to stretch myself"
"Kate has a huge compassionate heart, broad knowledge and the willingness to share it"
Besides her passion for teaching, Kate maintains a practice in Seattle where she focuses on Polarity treatments, lymphatic drainage techniques, therapeutic treatment massage and relaxation techniques. Click on this link and print out the Polarity Therapy Application Form. Payments can be made by check or credit card (Visa, Mastercard or Discover). Please make checks out to "TTCI" or "Therapeutic Training Center" or call 206.853.6875 to make a credit card payment. If paying by check, mail the application and deposit to: Therapeutic Training Center, PO Box 66864, Seattle, WA 98166. If paying by credit card, either fax the registration form to 206.243.5185 or mail it to: Therapeutic Training Center, PO Box 66864, Seattle, WA 98166. Upon acceptance into the program, students will be mailed an acceptance packet. For registration instructions, please go to the following link: Policies. Polarity Therapy classes taken individually follow the cancellation and other guidelines stated in the "Policies" section instead of those in the Polarity Therapy Student Handbook. Polarity Therapy Student Handbook: Contains complete program details. If you have questions about the content of the Polarity Therapy classes, please contact instructor Kate Bromley by e-email at kmbromley1@gmail.com. For all other questions (program details, application, payment, logistics, etc.) please email Robbin Blake of the Therapeutic Training Center at info@theratraining.com or call her at (206) 853-6875.